One of the days on the long weekend, we drove up to Los Angeles to visit the LA County Museum of Art (LACMA) – the largest art museum on the West coast. First stop was Border Grill for lunch. 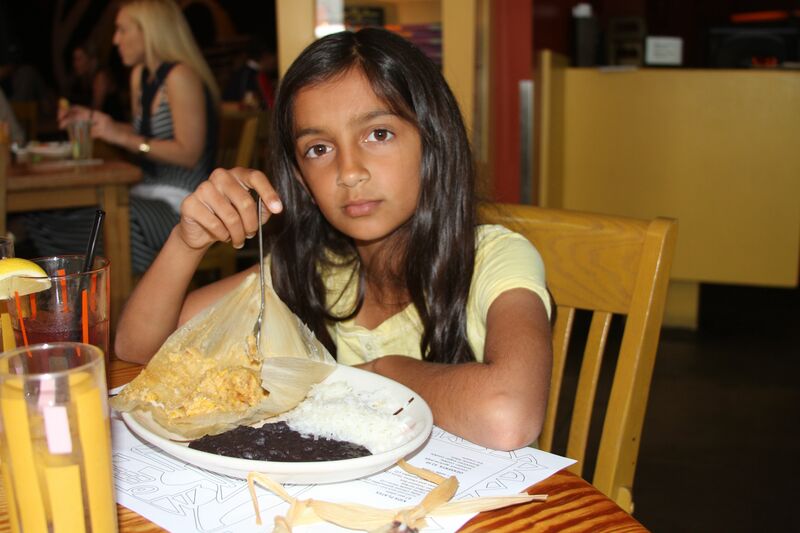 Annika tried something new and had some corn tamales and actually liked them. We went there after seeing one of their chefs on Top Chef Masters – a reality cooking show. I personally think the food was a bit over rated. It was too bland and “gringo” for my tastes. Probably why Annika liked it. 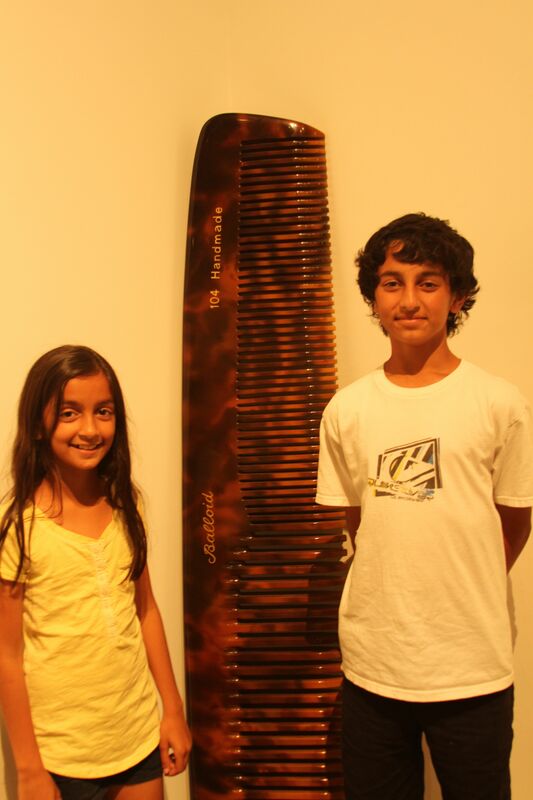 The kids mostly gravitated to the “modern” art. After the museum visit, we went to Magnolia Bakery. This is an awesome cafe with some of the best tasting cupcakes – decadent and high calorie. Just what the kids need. 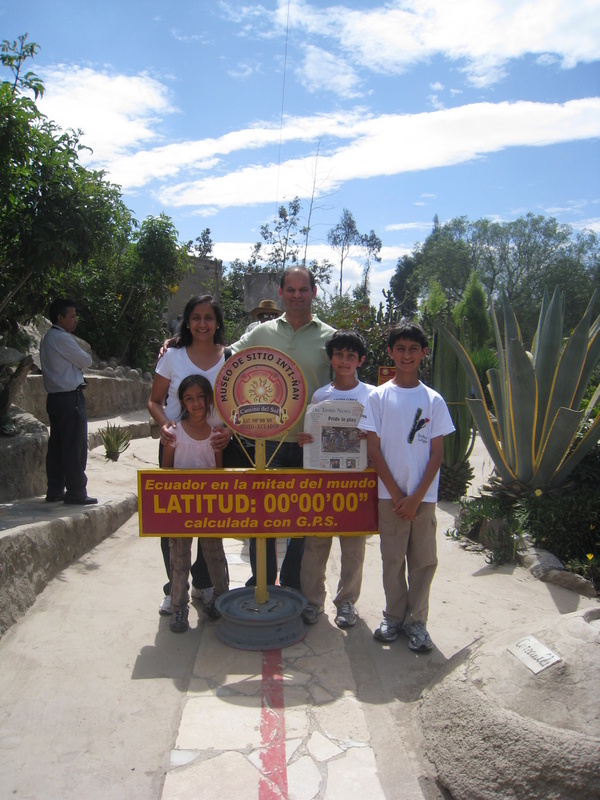 On one of the few remaining days after the Amazon, we went to the equator, also known as the middle of the world. 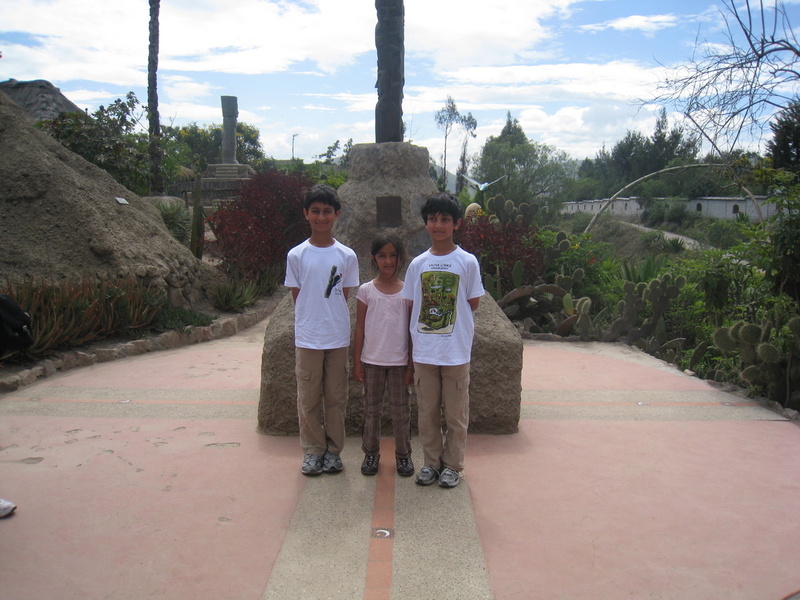 Here are the kids on the equator line. 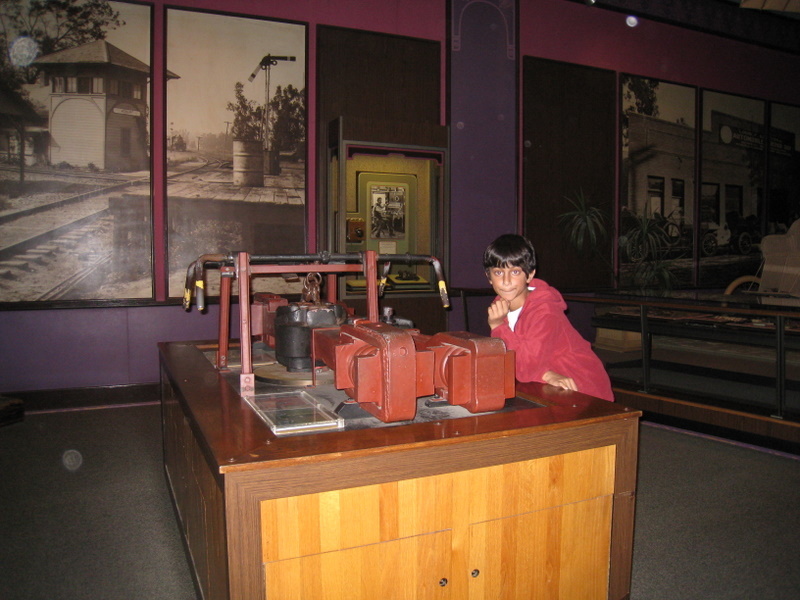 We visited a museum that had a water demonstration supposedly showing the coriolis effects. On the equator line, the water drained from the sink straight out. On either side of the equator line, the water drained out with a whirlpool effect. It was even clockwise on one side and counter clockwise on the other. Pretty cool demonstration, but I find it hard to believe how just a few feet on either side of the equator can make a difference. 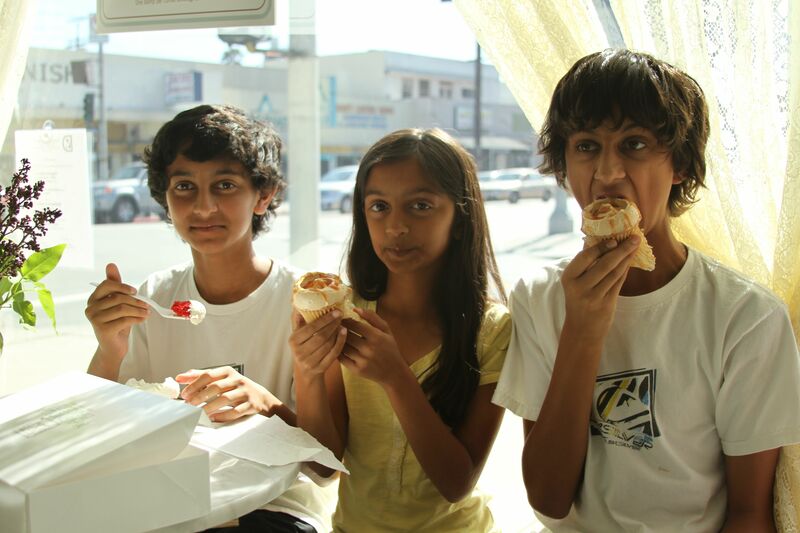 Here we all are posing for the Tustin News. 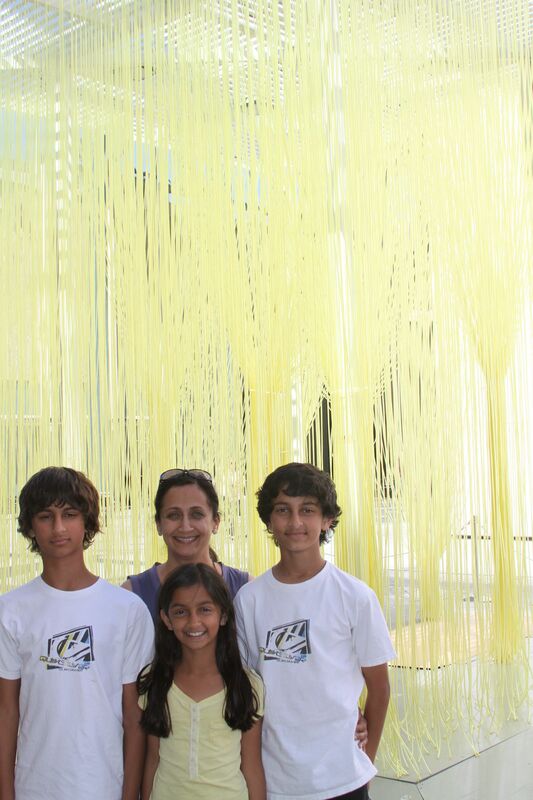 We had our picture taken for the “Where in the World” section of the paper. 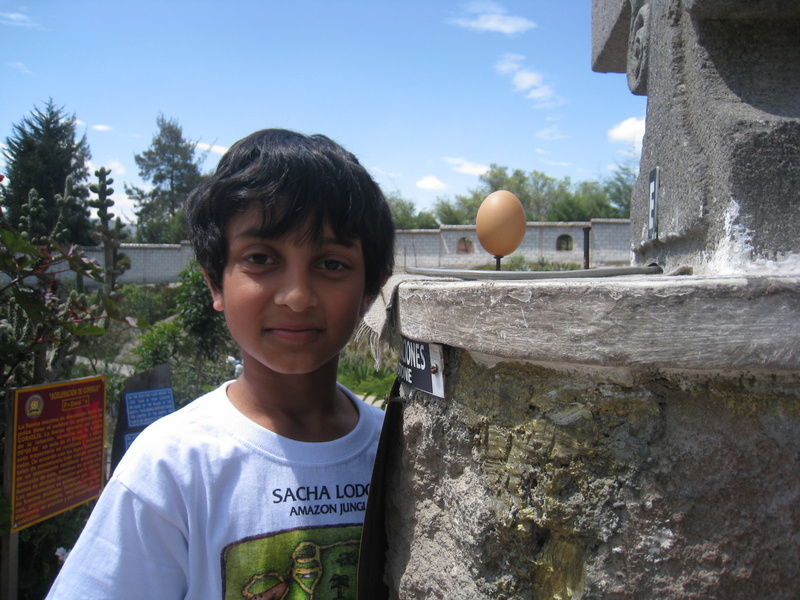 Another interesting feature of the equator is that one can balance an egg on a nail head. 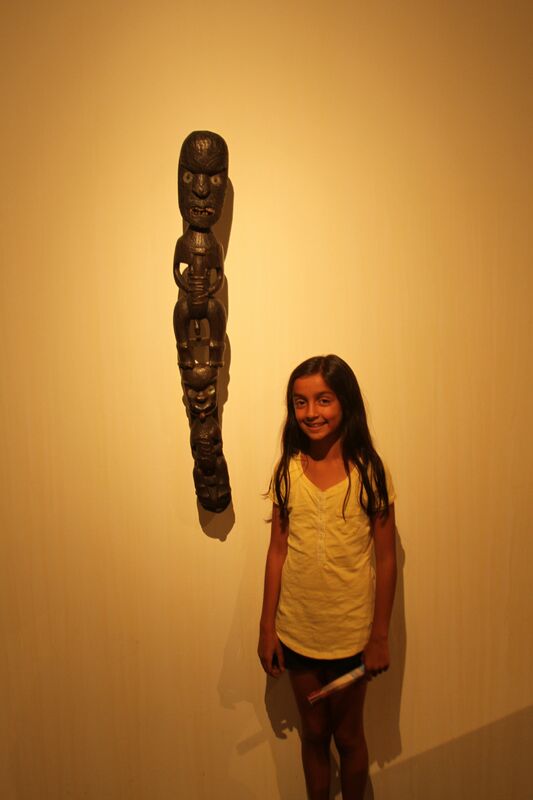 Supposedly, the gravitational forces at the equator are neutral allowing one to balance the egg. Once again, I’m not sure I buy the logic, but sure enough, it did work and it sure impressed the kids! We should now try it at home to disprove this theory. Any physicists in the house with a hypothesis as to why this works? Vikram got to shoot a blow gun. See the arrow in the cactus. After the equatorial museum, we headed off to the Otovalo market. 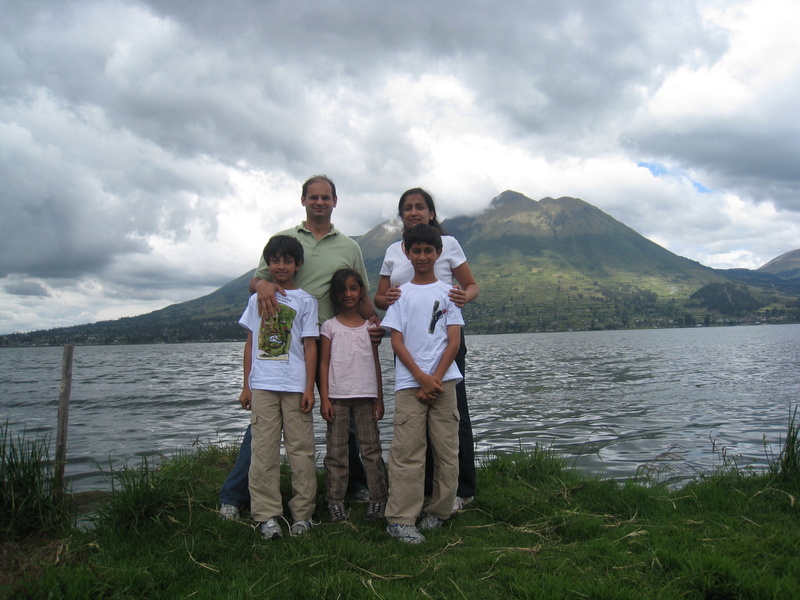 On the way, we stopped off for lunch at a restaurant at Lake San Pablo with a wonderful view of the Imbabura volcano in the background at 8000 feet. 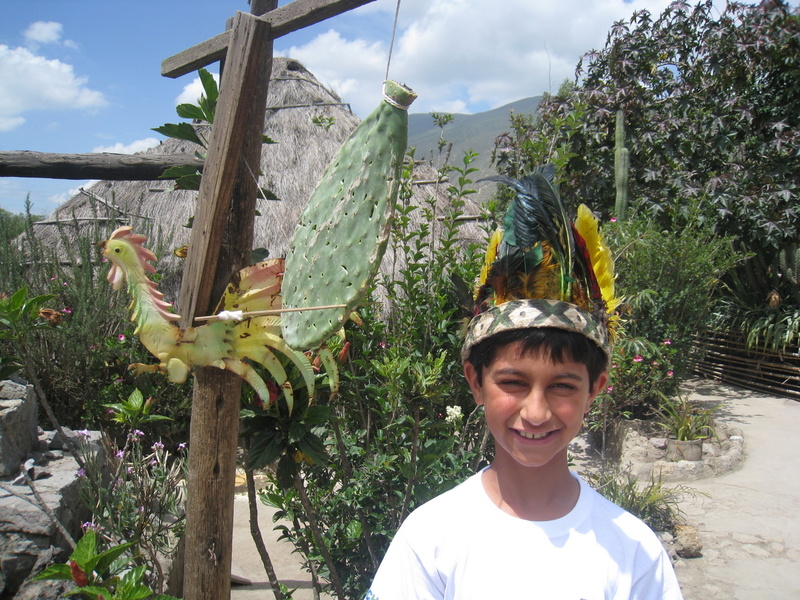 Otavalo is about two hours north of Quito on the Pan American highway (also known as the Avenue of the Volcanoes) . 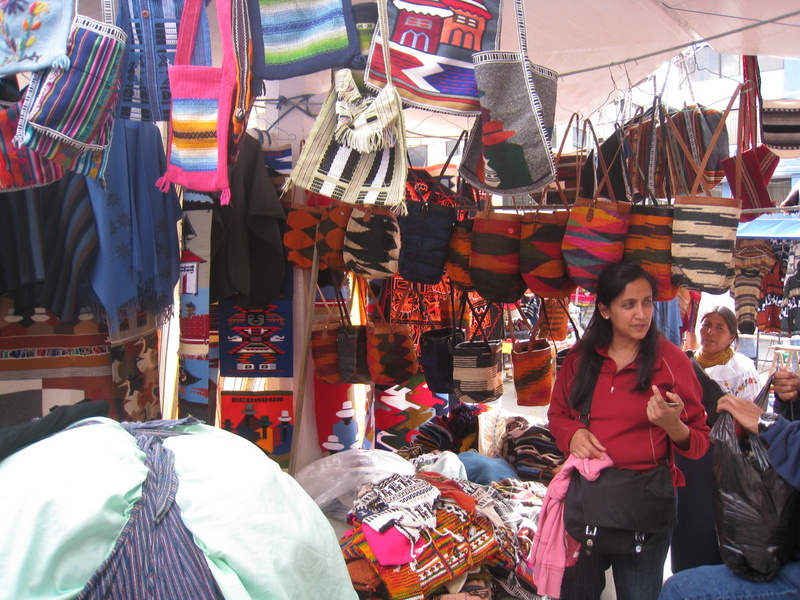 Otavalo is one of the oldest and most famous markets in the world. The Indians make and sell their handicrafts at the market. This is a real hagglers paradise. Be warned though, as I bought two large size T-shirts that both shrunk to a youth size! We have two more days left in Ecuador and tomorrow, I’ll post some more pictures from our trip to Banos and a different rainforest. Click here for the next post. 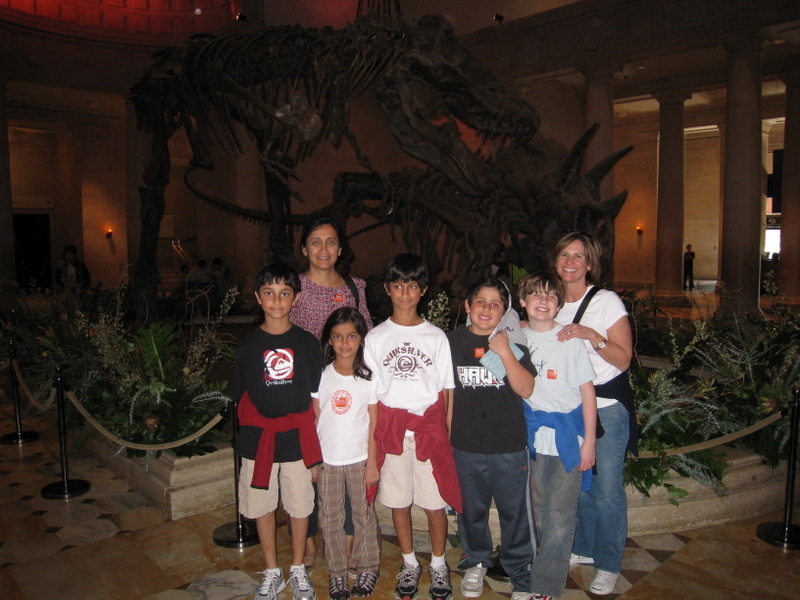 Last week, Anjali took the kids to the Natural History Museum on their day off. Here are some pictures from the trip. 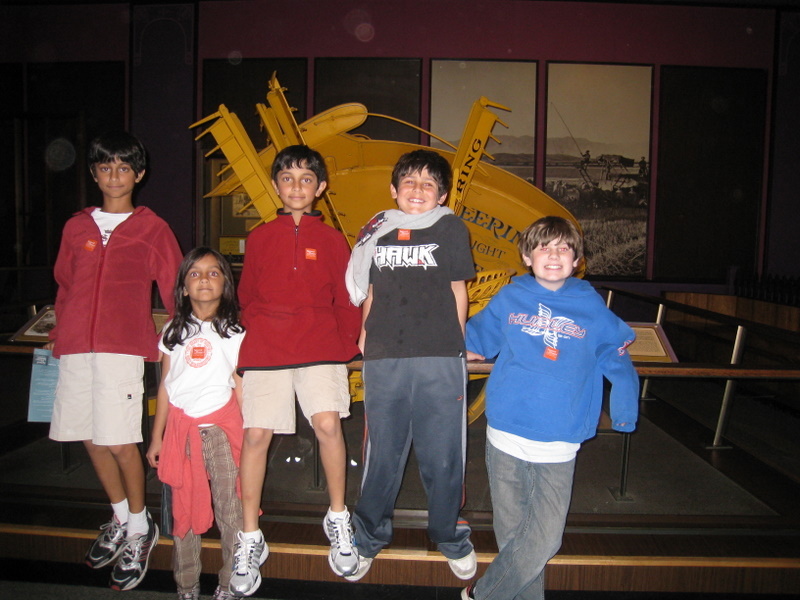 Here is Vikram at the rock exhibit learning about one of the excavation machines. Here they are with their friends Ryan and Brandon. 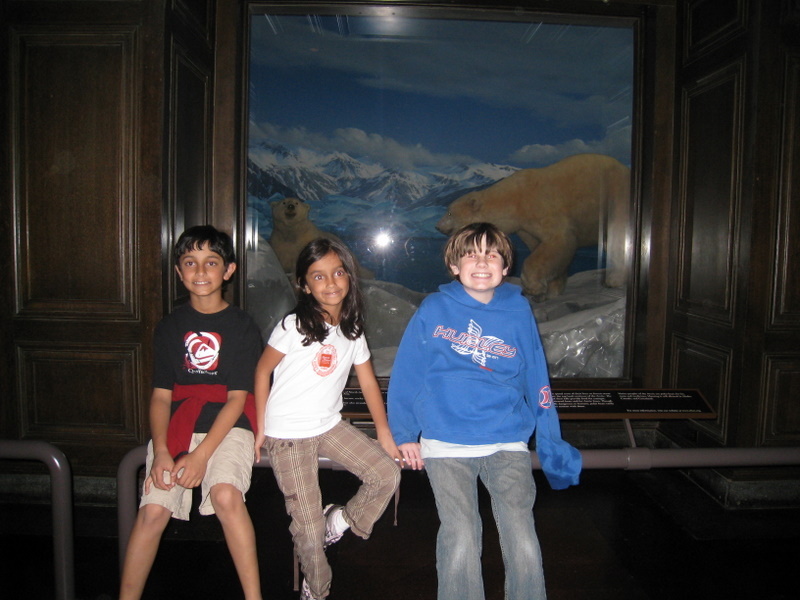 Here are Nikhil, Annika and Brandon in front of the polar bear exhibit. 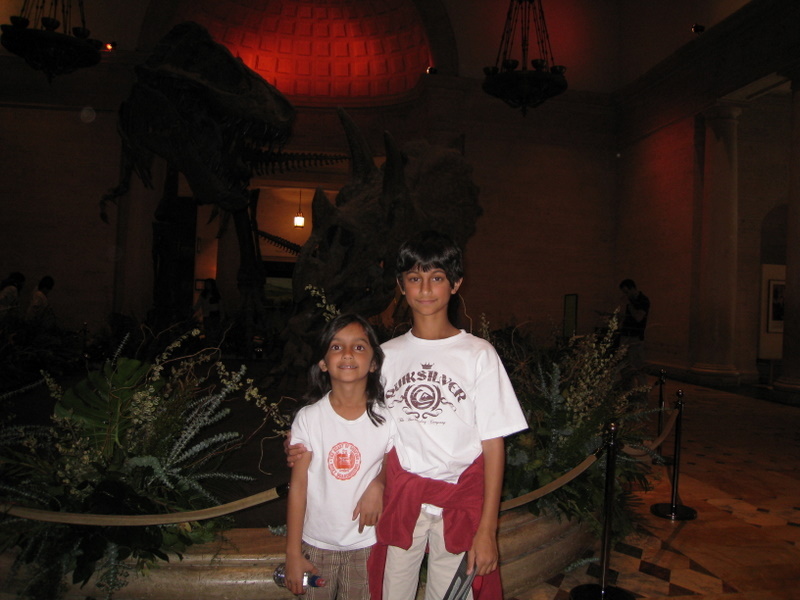 Here are Vikram and Annika in front of the dinosaur exhibit. 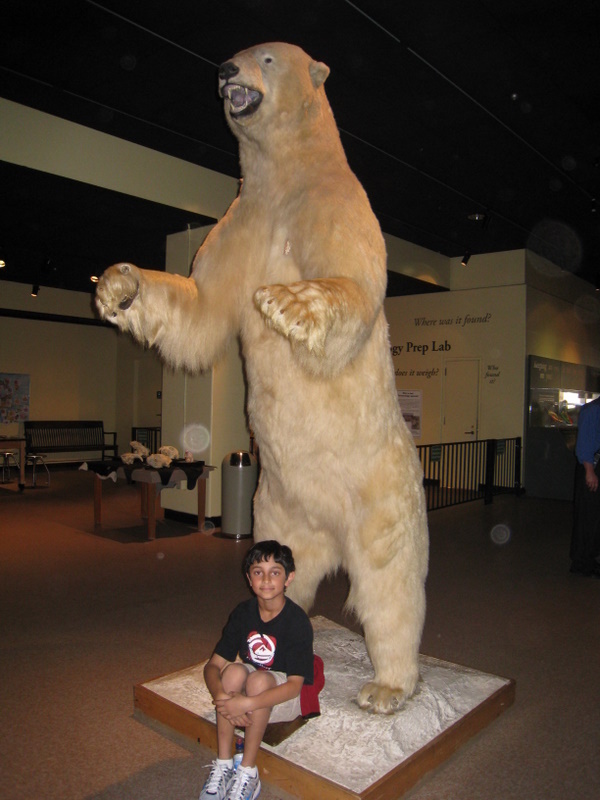 Here is Nikhil at the white polar bear exhibit. Check out the height of the bear! 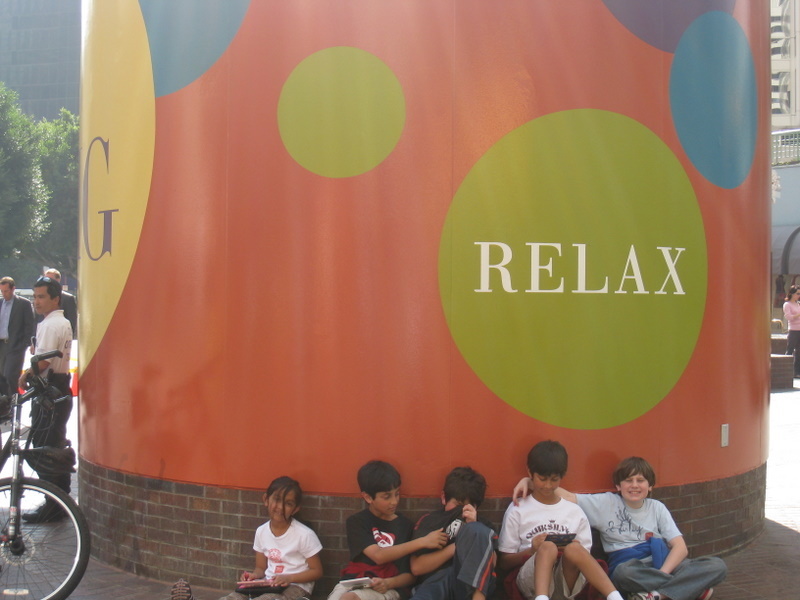 And finally, at the end of a long and tiring day, the kids are ready to Relax!